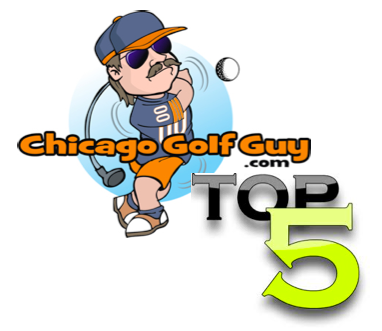 The Chicago Golf Guy April 6, 2012 Chicago Golf Guy's 2 Cents, Just Golf Stuff! The Beginning: After retirement from competitive golf in 1930, Bobby Jones hoped to build a golf course. He met with Clifford Roberts several times during the mid-20s. It was decided the club would be built near Augusta, Georgia, provided a suitable piece of ground was available. A mutual friend of Jones and Roberts, Thomas Barrett, Jr., was consulted. He recommended a 365-acre property called Fruitland Nurseries. Once an indigo plantation, it was purchased in 1857 by Belgian Baron Louis Mathieu Edouard Berckmans who was a horticulturist by hobby. His son, Prosper Julius Alphonse, was an agronomist and horticulturist by profession and the two formed a partnership in 1858. The Baron died in 1883. Prosper died in 1910 and the nursery ceased operations by the time its charter expired in 1918. An option was taken on the property for $70,000 and it was decided to establish a national membership club. Jones proposed Augusta National. Rae’s Creek: Named after John Rae, who died in 1789. It runs in front of No.12 green, has a tributary evident at No.13 tee and flows back at the green of No. 11. It was Rae’s house which was the farthest fortress up the Savannah River from Fort Augusta. The house kept residents safe during Indian attacks when the fort was out of reach. Trees: The most abundant tree at Augusta National is the pine. The predominant species is the Loblolly Pine. Many of the pines found in the original forested part of the course are over 150 years old (e.g. No. 10), while many were planted when the course was built (e.g. No. 3). Azaleas and dogwoods are also in abundance. There are over 30 varieties of Azaleas, several strains of dogwood and dozens of varieties of ornamental shrubs on the grounds. Surprisingly, there a few palm trees on the course. At one point during the course’s early years, No. 4 was called the Palm Hole. Today it is known as the Flowering Crab Apple. Masters Club Dinner: Better known as the “Champions Dinner,” the Masters Club began during the 1952 Tournament when defending champion Ben Hogan gave a dinner for all previous winners. At that time he proposed the formation of the Masters Club with its membership limited to Masters Champions. Honorary memberships were also extended to Bobby Jones and Clifford Roberts. Bill Lane, Hord Hardin, Jack Stephens, Hootie Johnson and Billy Payne (all Masters Chairmen past and present) have subsequently been added as honorary members. Each year, the defending champion selects the menu and acts as host for the Tuesday night dinner. As his certificate of membership in the Masters Club, he receives an inscribed gold locket in the form of the Club emblem. ***There is also a Champions Lockerroom at Augusta National, where a champion is paired together with another champion to share lockers. Arnold Palmer shares his locker with Sam Snead. Jack Nicklaus with Horton Smith, Tiger Woods with Jackie Burke, Nick Faldo with Zach Johnson. (I really love the fact that the champions get to share lockers, and experience with one another). These are the things that make the Masters so great. The Green Jacket: The Augusta National member’s green coat began in 1937. Jackets were purchased from the Brooks Uniform Company, New York City. Members were urged to buy and wear a jacket during the Masters Tournament so that patrons would be able to identify a reliable source of information. Traditionally, the champion takes his Jacket home with him for a year, returning it to the Club when he returns for the following year’s Tournament. The Jacket is then stored at the Club and is available whenever the champion visits. 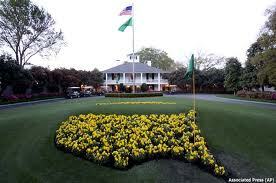 Amen Corner: The name Amen Corner refers to holes 11, 12 and 13. It was first coined in a 1958 Sports Illustrated article by Herbert Warren Wind, who wrote that it was composed of the second half of No. 11, No 12 and the first half of No 13. Magnolia Lane: It is approximately 330 yards from the entrance of the gate to the Clubhouse and is lined by large magnolia trees on both sides of it that date back to approximately the late 1850s. In 1947 it was paved for the first time. The Tournament Practice Facility: Used first in 2010 Masters, the 18 acre facility measures approximately 400 yards in length. It includes a short-game area, four target greens (at 75, 150, 180 and 210 yards) and two distinct fairways that allow players to visualize on-course fairway corridors and shape shots using the strategically placed trees as targets.